The ’80s inspired neon trend is the flashiest fad of the season, and today we’re going to show you some neon accessories to help you try the trend in small doses. First, some history on this trend: After being seen on runways at Versace, Gucci, Armani, and many other designers’ shows, it rapidly spread to the celebrity world. Celebs such as Blake Lively, Bella Hadid, and Hailey Bieber have all been rocking the trend! According to Vogue Australia, however, Kim Kardashian-West is the one responsible for “single-handedly trying to make this trend happen.” She’s been seen wearing all sorts of crazy neon colors, and has also started to dress her children in neon. Right now, neon is everywhere and clothes and accessories can be seen in every store, and on many fashion influencers on social media. Recently on CF, we brought you some major neon outfits inspo. However, you may be feeling like wearing a full-on neon outfit is not for you. If so, don’t worry, we got you covered! 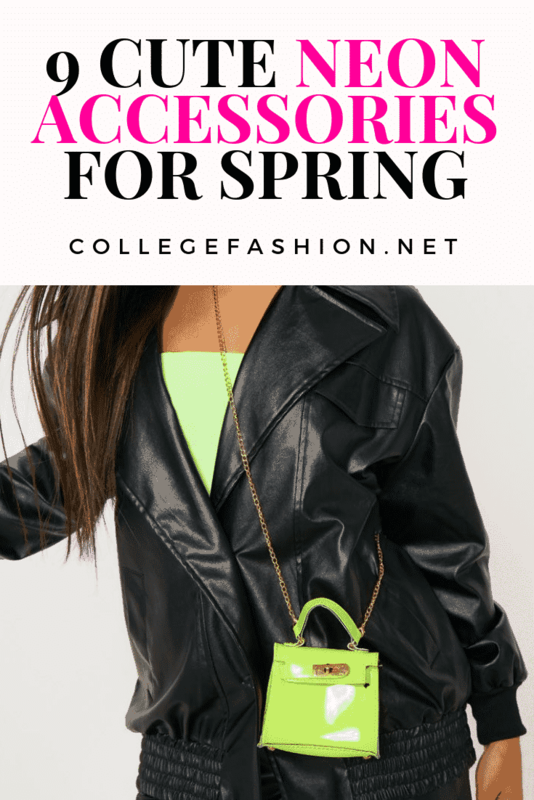 Here are some neon accessories, ranging from bags and shoes to jewelry, so you can incorporate one of the hottest trends of the season into your wardrobe in small doses! Neon handbags, backpacks, and clutches are a great way to brighten your outfits and refresh your wardrobe without having to buy new clothes or spend lots of money! If you’re looking for a practical bag, your best bet is a neon backpack, because you’ll be able to rock the trend anywhere, walking around campus, going to classes, or while hitting the gym. 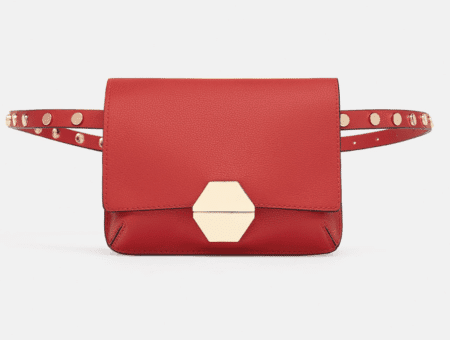 Alternatively, if you’d like to add neon to your nighttime outfits, neon clutch bags and crossbody bags like the ones above are a great way to do that without spending a lot. I selected these neon shoes because they’re bright, colorful, and are an easy way to add a bit of fun to a more simple outfit. I could definitely see the orange platform shoes for a spring break vacation at the beach, paired with a plain black t-shirt dress, or with a bikini! The neon lime block heels could be worn with black jeans and a nice top for a casual night out, or you could even wear them for something a little bit fancier, such as an internship, perhaps paired with a black midi dress and an oversized blazer. Finally, the kitten heels, which combine two trends of the season, snakeskin print and neon, definitely have an early 2000s vibe to them. 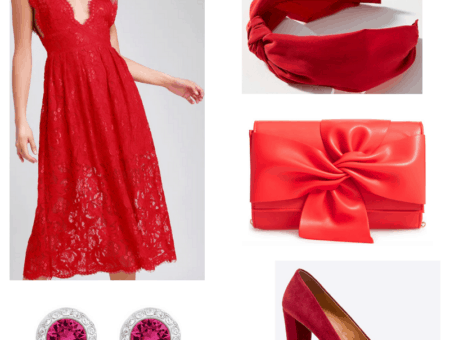 I think they would look great for a girls night out, paired with a basic black spaghetti strap slinky dress, or a black sleeveless crop top and skinny jeans. Last but not least we have neon earrings. They are the easiest way to try out the neon trend. Neon earrings are a cute reminder of the ’80s, and depending on your own personal style, you could try crazy geometrical shaped earrings like the ones pictured above, or, if you’re more into timeless jewelry, you could go for these lovely Kate Spade earrings. Will you be rocking neon accessories? What do you think about the neon trend? What is your favorite neon accessory? Let us know in the comments section.